What if we told you that Syracuse football was No. 2 in the country? You’d probably look at us like we had 10,000 heads and had lost all of our marbles. Well, it’s actually true, but not necessarily in the way that most SU fans would hope for. According to 247Sports and The Athletic’s Max Olson, in the class of 2019, SU ranked second among all Power 5 schools in the country in terms of the sheer number of prospects they offered. The Orange extended 445 offers in this last recruiting cycle, which ranks second only to Tennessee who put 447 scholarships offers on the table. The Power 5 average? Only 232. That means SU is offering nearly double the amount of athletes that most other major conference schools are. We’ll get into exactly what this means and what it says about Syracuse and Dino Babers in a just a minute, but first let’s do a bit more comparison. SU offered over 100 more prospects than the highest ranking perennial powerhouse on the list (Michigan, 302). What about jobs that at one point had Dino attached as a possible candidate? Well, the two most recent examples are Miami which checks in at 54th among 65 Power Five teams listed in Olson’s research with 157 offers and Texas which is slotted at 57th with 137. With the strategy Dino has employed at SU, those numbers would likely have gone up if he had gone to either of those programs. As for SU’s peers in the ACC, well, most of them are a lot more conservative than Syracuse. While Louisville sits just two spots back of the ‘Cuse with 402 offers, the next closest conference foe, Pitt, sits at 14th with 291 offers. Other programs that have been considered to be in Syracuse’s conference “tier” over the past few seasons include No. 21 Boston College (277), No. 25 North Carolina (243) and No. 47 Wake Forest (182). Defending national champion Clemson sits at No. 52 with 159 offers at the time of research. The Power 5 school with the fewest offers in the class of 2019 was academic powerhouse Stanford who offered a meager 72 prospects in the cycle as a result of needing to strike the right balance between athletic talent and academic prowess. So needless to say, Syracuse and Dino Babers are relatively unique among their ACC peers in terms of how many guys they are willing to give an opportunity to come play at SU. And while some people may look at these numbers and say that it looks like the Orange might be worrying about quantity over quality in their recruiting cycles, this kind of recruiting style gives them a unique opportunity. 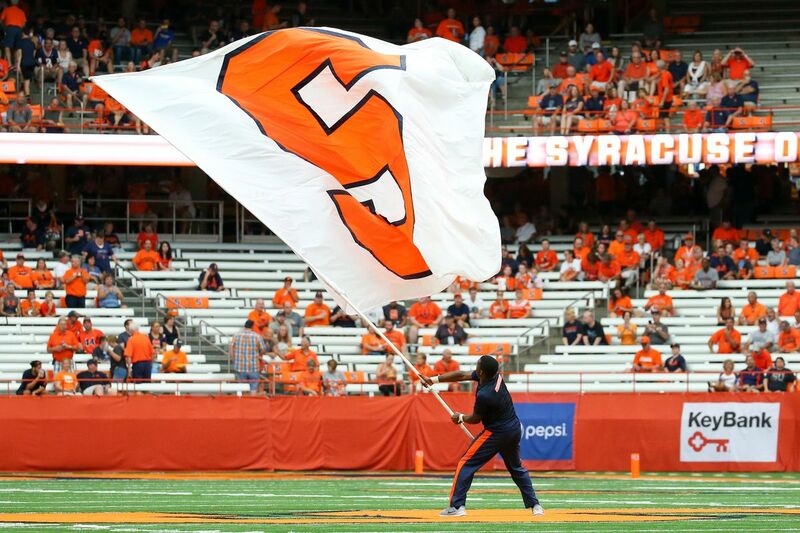 Instead of being afraid to throw their hat in the ring on a potential superstar talent, Syracuse is showing that they want to be able to recruit with the big dogs. They don’t have the kind of power to automatically scoop up a ton of five-stars like Alabama or Clemson might. Those kinds of teams can get away with only offering a few five-stars and four-stars because they know that they’ll get a good portion of the guys they want. Syracuse doesn’t have that luxury, but by throwing out offers to as many top guys as possible, they’re giving themselves the best statistical opportunity to snag an elite-level talent. That means they’ve got a better shot at getting a program-changing talent to come to Syracuse. Not only could this kind of strategy net SU an uber-talented recruit every once in a while, but it also increases their chances of finding a diamond in the rough kind of guy. Take Andre Cisco for example. He was not highly-touted coming out of high school and his best offer outside of SU was either Nebraska or Northwestern. He was a guy that didn’t really move the needle all that much when he committed, but then he transformed himself in one of the team’s best defenders and a freshman All-American. Those are the kinds of guys that can make a ho-hum recruiting class seem really, really special and wouldn’t be possible if SU wasn’t willing to offer a bunch of guys. This is not a strategy that works for everyone, but it’s certainly an interesting one for a program that is trying to rebuild its brand and put itself back on the national stage. If it can net you an elite-level guy here and there and bring you in some solid all-around guys and diamonds in the rough, then why not offer as many guys as possible. Oh, and in case you were wondering, SU has already offered 280 prospects in the 2018 class which surpasses last year’s Power 5 average.